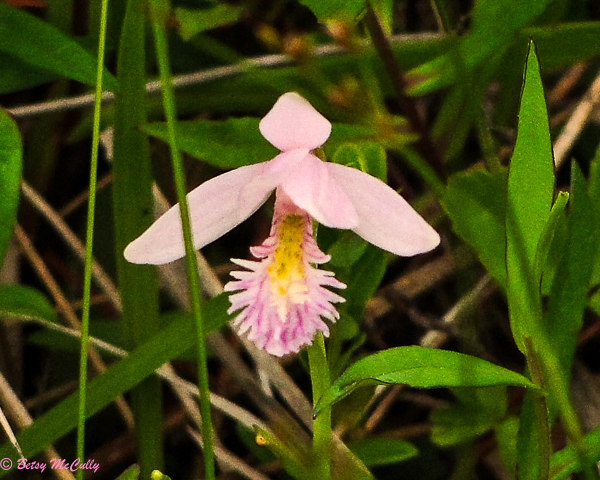 Rose Pogonia (Pogonia ophioglossoides). Orchidaceae family. Native. Wet meadows, sphagnum bogs. Napeague Dunes, Long Island, 2012.